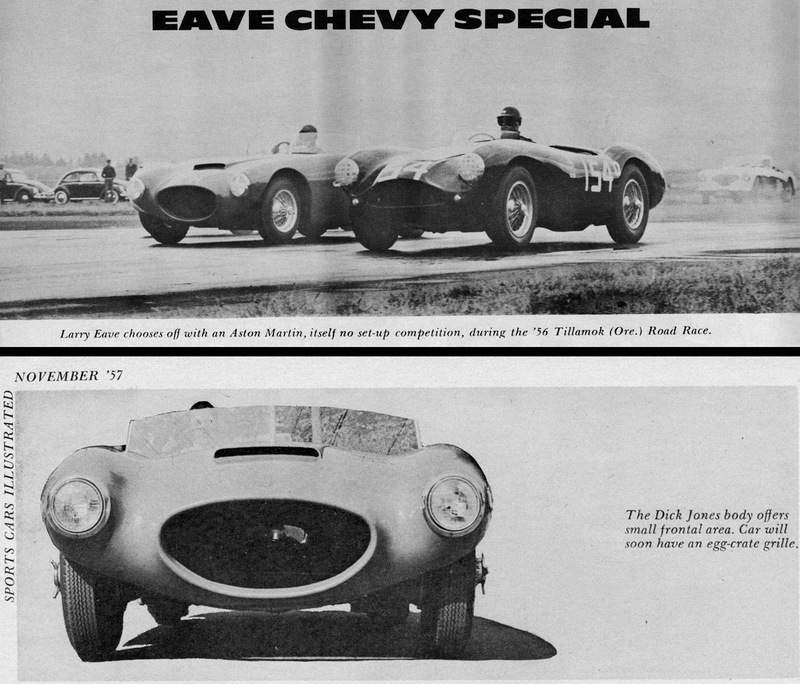 From Sports Car Illustrated – November, 1957. 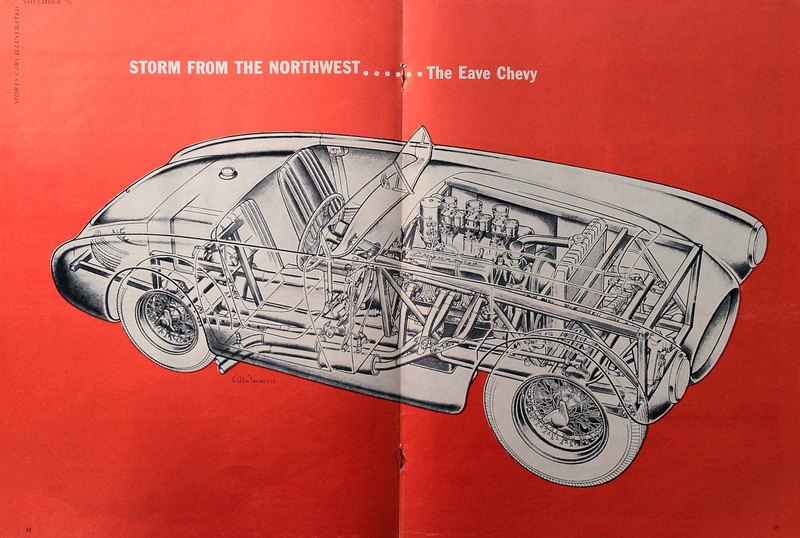 The car was built, in Portland, by Larry Eave with a Chevrolet small block motor by Chuck Rich. The car had a semi-truss, mostly ladder, frame. A modified model A Ford rear axle fitted with a Halibrand quick change unit and Ford three speed transmission completed the drive train. 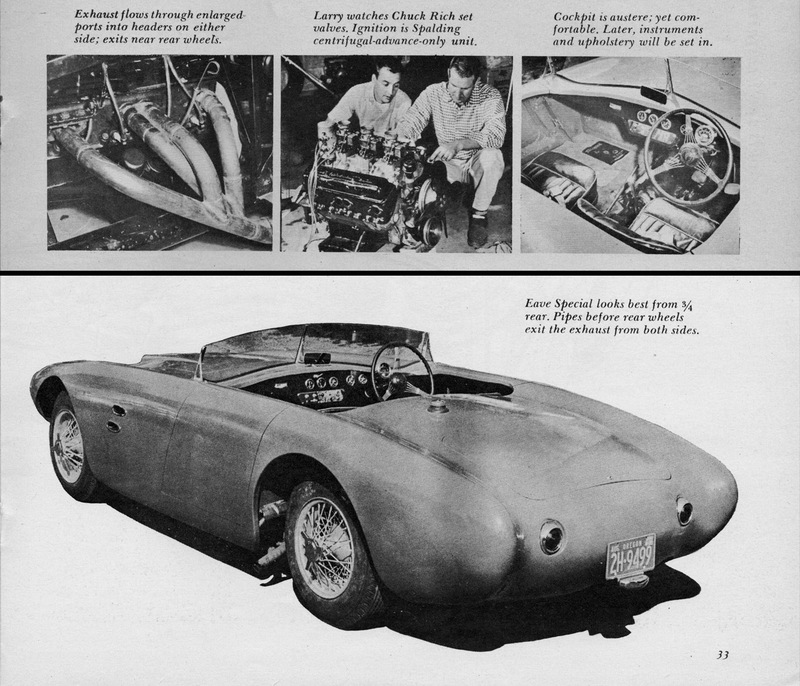 The front suspension consisted of a specially fabricated tubular axle and transverse spring.